Featured article. Read what popsugar had to say. As a parent, when are you not in the market for a new toy for your kids? Say hello to HarperIman Dolls, a line of gorgeous handmade, linen keepsake dolls with an extraspecial message behind them. The line of dolls and accessories were created by Cynthia Watkins and Kathryn Burnett, a mother-daughter duo, in 2017. "We found that dolls of color are underrepresented. There aren't many choices, and the ones available do not accurately represent our different skin tones and hair textures," they told POPSUGAR. "Our children are left playing with and trying to identify with dolls that look nothing like them. We wanted to change that." 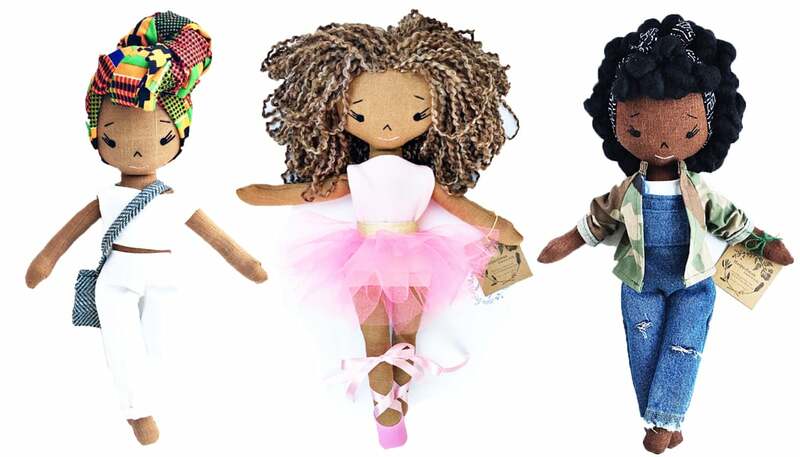 The dolls come in different sizes and skin tones, and they feature different hair types. They range from $80 to $90. Some feature braided up-dos, while others have tighter curls in different colors. You can even buy an array of clothes and accessories for the dolls, like a tutu or a pair of sneakers. "We believe there is truth in 'It's hard to be what you cannot see,'" they told us. "We create dolls with a purpose in mind: to help reinforce how beautiful and strong our children are by providing them with positive affirmations of themselves that they can identify with." The dolls are only sold online right now, but the company hopes to expand into stores at some point. Featured article. Read what Lonebody had to say. Meet Kathryn & Cynthia, the mother-daughter duo behind the dolls we're all swooning over. With their vision to create dolls of color that are more relatable, these women are filling a space that has been vacant for far too long. Their belief that “it’s hard to be what you cannot see” rings true in a society where white prominence is seen even in the toy aisles. 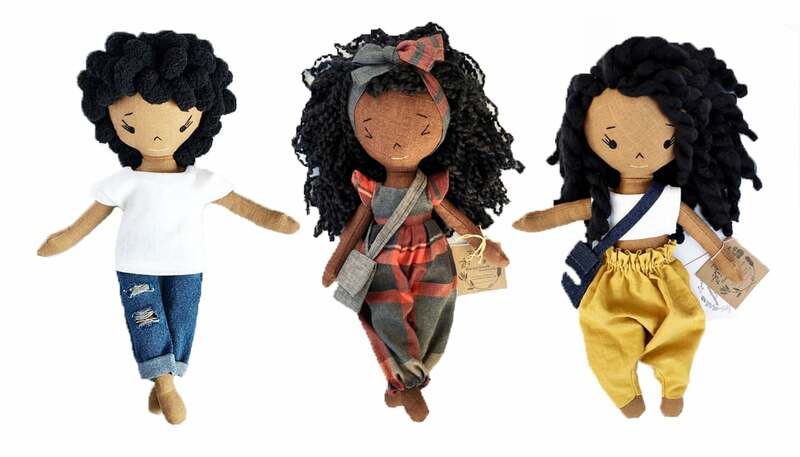 A doll is often a little girls first reinforcement of her self image, and HarpeIman aims to make that a positive affirmation for children of every color. Read on to find out how it all started and where they want to see their dolls in the future. What led you to start making the most adorable dolls in the world? Dolls of color are underrepresented. There aren’t many choices to choose from and the ones available do not accurately represent our different skin tones and hair textures. Our children are left playing with and trying to identify with dolls that look nothing like them. Our vision is to create dolls of color that are more relatable. Because they’re handmade, do you find it challenging to keep up with demand? We do have our challenges but looking to expand to keep up with demand, it’s a nice problem to have. It’s gratifying to see that others appreciate the beauty in our dolls. It’s so cool that your dolls have such a range in skin color, and especially that they represent girls of color in a society where it seems most dolls have been white for so long. It’s a game changer for positive self-image from a young age, was that your intention? Yes, absolutely. We believe there is truth in “it’s hard to be what you cannot see”. We create dolls with a purpose in mind. To help reinforce how beautiful and strong our children are by providing them with positive affirmations of themselves that they can identify with. What’s your vision for the future of HarperIman Dolls? Representation matters. We hope to grow the HarperIman brand and have our products available in stores one day.